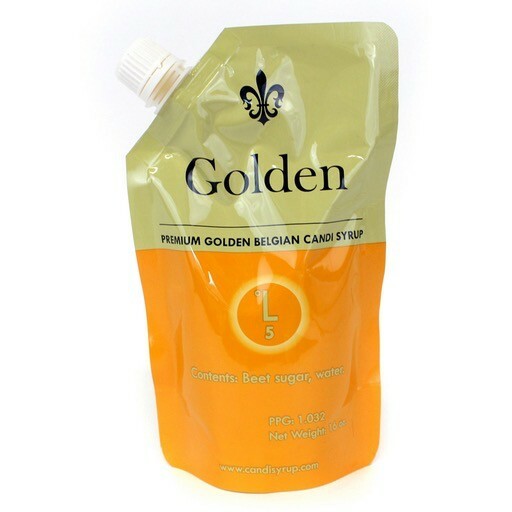 Golden Candi Syrup is produced from the finest beet sugars in the true Belgian fashion. This candi syrup lends a rich caramel flavors followed by a subtle fruit forward palate. Golden Candi Syrup is a decadent product that contributes rich caramel flavors followed by a subtle fruit forward palate. The color is a rich translucent gold. Golden is ideal for brewing Belgian Golden Ale's, Tripels, Bier de Garde, Saison, Belgian Blonde, and any lighter colored Belgian Ale's. It’s also a great option for driving up the final gravity of lighter colored beers like Pale Ales, Golden Ales, and IPAs. Looking for recipe ideas. Check some out here!